HomenewsUncategorizedWhat is Customer Relationship Management? What is Customer Relationship Management?- CRM stands for customer relationship management. It is an effective system that links all the data from your sales leads as well as customers together and stores them in one location. A CRM documents and assesses all phone calls, emails, and meetings, assisting in improved customer care and sales. Having all customer data in one place improves operational efficiency and increases revenue. You can obtain personal information and apply it to an individual level to delight each of your leads and customers with personalized messages. You can track, segment and also slice data to make your sales and marketing more intuitive, powerful, as well as much more efficient. Customer relationship management is a literal description of what CRMs do, however, those three words do not inform the whole story. The large volume of data you can track for every individual customer in a cloud-based CRM system is incredible. Today we will take a look at the details. What does a CRM do … and why? Contact management on a large scale is the core function of any type of customer information system, whether it’s cloud-based CRM or software. You need to store and manage information for each type of contact, from leads to business partners, for effective sales relationship tracking. A lot of small companies still use spreadsheets, email folders, or paper tracking to record progress with relationships. But eventually, those “systems” breakdown; as businesses get busier they cannot maintain their records accurately. If you have a hundred contacts in your database or more, it’s time to use a CRM. You can modify each of the following fields as well as personalize them any time to fit your company’s requirements. A customer’s name and email address are the only information needed to get started with a good CRM. Once you’ve entered customers’ names, your CRM should continue to help you keep track of completed events or those in process. You will always know who replies to your sales efforts and can keep track of who and when to follow up with potential and current customers. Additionally, a CRM offers space to add notes to give you a leg up on your competitors. Track details such as who makes decisions at each business you sell to, and you will further develop a meaningful, data-driven sales strategy. You can also segment information such as company size, industry, and customers’ preferred communication channels. The best CRMs clearly show which leads to focus on and which to avoid. The more information you provide the clearer the picture becomes. Marketing and sales run more efficiently with a CRM. Sales staff can work on their own and work together more smoothly. No longer will you need to ask questions such as “Who spoke to a prospect last?” “What did they talk about?” “What’s the next step?” because the CRM will track and store all the information. An effective CRM will assign a score or a value to each prospect in your sales pipeline and help you develop clear sales projections. What is CRM marketing worth? A recent report compiled by IBM showed that businesses who adopted a CRM scored a 65% sales quota increase. After identifying your most profitable customers, find and offer perks which will help them feel even more valued and delight them. Your CRM will help you sort data and refine marketing campaigns to send specific information to targeted audiences. Merge fields play a significant role in email marketing. A merge field helps you personalize emails by the first name, business, location, or whichever field you choose to include in your email content. Here is an example of an email including merge fields which are bolded. We are so excited to have LMNOP Enterprises as a new customer! Welcome to the ABC Company family. 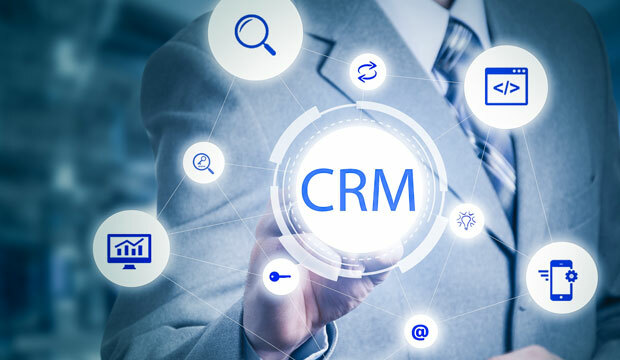 Excellent CRM software offers robust automation including the options to insert fields, trigger email automation and send reminders or calendar links for appointments based on your preferred criteria. The post What is Customer Relationship Management? appeared first on erpinnews.